Separation from the skins with air-press and fermentation in pressure-tank for about 1 month, in order to preserve the perfumes and the typical liveliness of this wine. Yellow colour with greenish reflections. Fragrant and floral sweet nose. 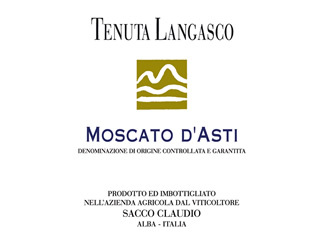 In the mouth it is fresh, aromatic with the pleasant sweetness of the Moscato grape. Crisp and refreshing, it works beautifully with desserts but also as aperitif or refreshing mid-afternoon drink.